The ‘Wagyu of lamb’ arrives. A new breed promises to take lamb in New Zealand to the next level and it’s coming soon to some of our finest restaurants. IT’S LAMB, JIM, but not as we know it. 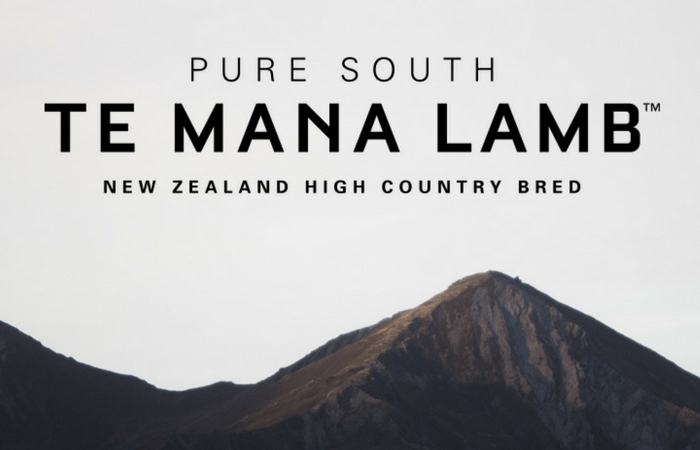 Ten years of research by New Zealand food company Alliance Group, Kiwi farmer shareholder group Headwaters and the Ministry for Primary Industries has resulted in a new breed of lamb called TE MANA LAMB. Raised in our iconic South Island high country and finished on chicory herb pastures for 30 days, the aim is to breed ‘good fat’ back into the lamb. Like the famous Wagyu beef, TE MANA LAMB boasts plenty of intramuscular fat, which melts back into the meat while it is cooking, meaning it is more succulent and, helpfully, much more forgiving – your lamb racks won’t dry out terminally if you get distracted refilling a wine glass while searing them off. That’s the good news; the bad is there just isn’t enough TE MANA LAMB to go around yet. You’ll find it in quality decicatessens and butcheries eventually, but New Zealand’s top restaurants get first dibs. Nourish Group executive chef Gareth Stewart has just put the lamb on the new menu at Euro and Taste caught up with him for a bit of recipe development down in Auckland’s Viaduct. Gareth cooked up a three-hour TE MANA LAMB oyster shoulder, confit lamb belly and a classic lamb cutlet and served it with raw chicory marinated in a salsa verde sauce, on a fromage blanc base and finished with a silken lamb jus. Gareth reckons this lamb is next-level stuff in this country and the innovation is past due. 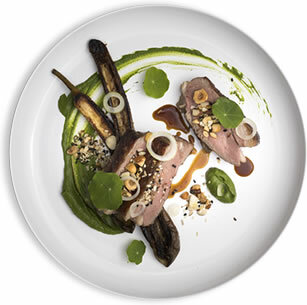 He took a trip to a high-country farm with felloiw chef Ben Bayly to see the lamb in situ, and the dish he whipped up at Euro was inspired by the ingredients in the vicinity: chicory, watercress and macadamia nuts. Gareth says TE MANA LAMB is the ammunition chefs need to get diners excited about lamb again. Lamb breeds have not become recognised ‘designer labels’ like Augus, Wakanui or Wagyu beef, but all that might be about to change.